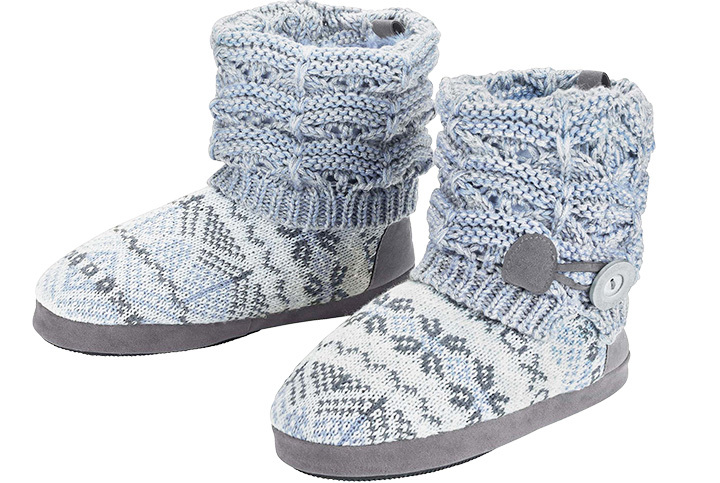 Women's Snow Day Slipper Booties is rated 5.0 out of 5 by 7. There's no denying comfort's the most important aspect of slippers. Well with some faux fur lining, you can be cute and comfortable at the same time. 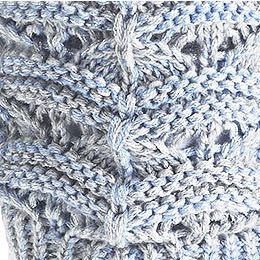 Staying cozy in the winter doesn't always require sitting by the fire. 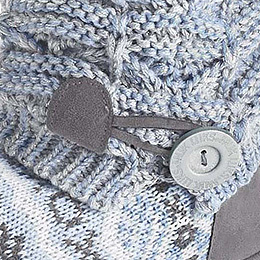 When the temps start to drop, stay warm by throwing on a pair of these slipper booties. 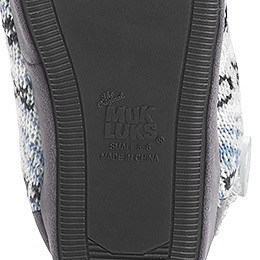 The faux fur lining provides the comfort you're looking for, while the rubber sole protects you from walking on the cold ground. Threaded knit uppers and button-closed sides add accents of style that go great with your favorite Legendary® loungewear. Rated 5 out of 5 by Cali from Love the style... too snug for me. I am a newcomer to Legendary Whitetails myself. My husband and son-in-law love your products and continue to go back for more. I saw these slippers online. I like the color and style and have been looking for a pair like them. Sadly, I had to return them because they were too snug. I wear a true ladies size 6 in the usual/standard medium width and my toes were up against the toe of the slipper. I did the usual tugs to pull them on as you would boots, but softer/gentler tugs, if that makes sense. For me, the width was okay without socks, but would've been too uncomfortable for me to wear even for the short time - not for the width, but more so because of being too tight at the toes. I like to wear socks with my slippers and they were snug wearing your average everyday sock. I wasn't wearing thin socks or the 'boot' socks, which are usually thicker. I ordered the small (5-6), if you want to wear them without socks you might be okay, but I returned them to exchange them for the medium size 7-8. I hope they are available! I didn't think to order a small and a medium at the same time, had I done that, my toes would be toasty warm now. I live on the east coast in Pennsylvania and there's nothing like having warm feet in the middle of winter. lol I still give these a 5, because I have a better idea of the shoe size to order in the future. Rated 5 out of 5 by POgg from So cute!! 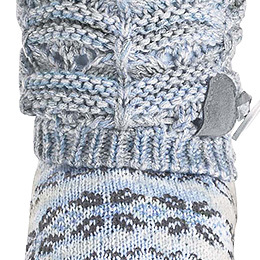 Love these slipper booties. Super soft, warm and very comfortable! What is the shoe size breakdown for small, medium, large, etc. ?